It's our February Official Event, and time to re-connect, welcome our new members, and plan for the year ahead! 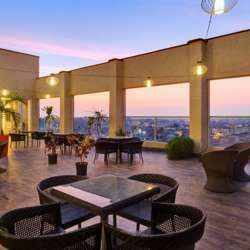 Join us for a drink in good company, with locals and expats alike, in one of the most beautiful rooftop locations in Lusaka! Cloud 9 at the Protea Hotel Tower is one of the city's must see venues, and it promises to be a great evening!